What Is A Personal Umbrella Policy And Do I Need One? A personal umbrella policy, or PUP, is supplementary liability insurance that offers personal and family protection from incidents that result in damages that exceed the policy thresholds of car or home insurance. An umbrella policy isn’t for every individual or family, but knowing about this type of insurance is the first step toward making an informed decision. Who Needs an Umbrella Policy? People have insurance to protect personal assets in case of accidental injury or damage. Without insurance, many people couldn’t afford the hospital bills, property damage, repair, or replacement costs that’s caused by common car accidents or other personal injury claims. An umbrella policy is ideal for people whose net worth exceeds the insurance limits of home and auto insurance coverages combined. 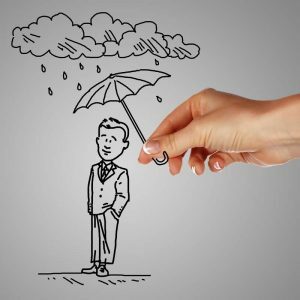 Conversely, single individuals, childless partners, or those with little or no personal wealth might not need a personal umbrella policy. Personal umbrella policies are used as a safety net: monthly payments allow people to drive and engage in daily activities with less fear and more confidence, but especially when an individual or family has assets that exceed the limits of other liability coverages. What is Covered by an Umbrella Policy? A personal umbrella policy kicks in once all other insurance maximums have been met, including homeowner, auto, and boat insurance. A personal umbrella policy adds another layer of liability protection beyond the limits of these other insurance policies. Additionally, personal umbrella protection covers claims that reach beyond common liability policies such as slander and liability or coverage for owned and rented real estate. While basic auto insurance may cover a minor fender-bender, a serious accident could result in catastrophic injury or even death. If you’re the at-fault driver in a wrongful death claim, are you financially prepared to deal with the consequences? Most people can’t afford a $500,000 personal injury settlement, but a personal umbrella policy allows you to maximize other liability coverages, and anything left over is paid out by the PUP. For individuals of high net worth or those with valuables they’d like to protect (fine art, real estate, luxury cars), it’s wise to carry this type of coverage to make sure personal assets aren’t used to compensate the victim. Where Can I get an Umbrella Policy? Most insurance providers offer some version of a personal umbrella policy or PUP. While it’s thrifty to shop around and get quotes from various insurance companies, it’s likely you’ll save money by consolidating all policies with a single insurance provider to save on monthly premiums. Don’t forget to add recreational vehicles to a personal umbrella policy. ATVs, boats, motorcycles, etc. should all be covered in case of an accident. Finally, be critical when evaluating how much coverage to get. Don’t skimp on getting the right amount or you could end up paying thousands for damages you could have easily covered. Stay up-to-date on important insurance coverage information you can use to keep you and yours protected. Follow the DeMayo Law Firm on Twitter or like us on Facebook for useful insurance updates!